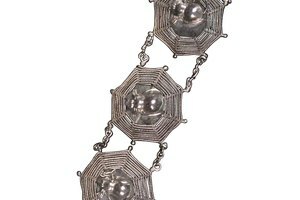 Platinum is a very beautiful but expensive precious metal. 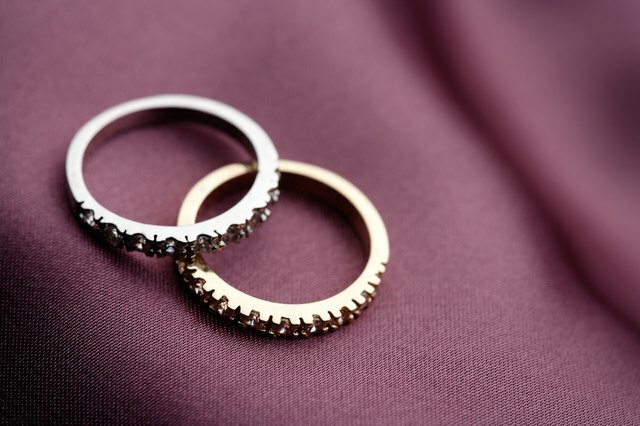 To the untrained eye, rings made from white gold, silver, and platinum can look very similar. 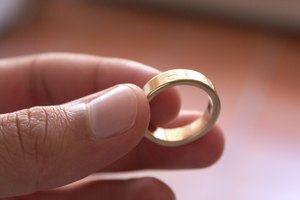 If you are wondering whether a given ring is made from platinum, or from another type of metal entirely, there are a few signs that you can look for. 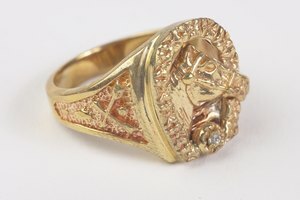 Compare the ring with a gold ring of similar design. A true platinum ring will feel far more heavy in the palm of your hand. Examine the interior of the band. In some cases, there will be a stamp that reveals the composition of the ring, whether it be gold, silver, or platinum. If the ring stamp reads "Pt" or "Plat," it contains platinum. If Pt is followed by other letters, this means it is an alloy. Look for tarnish. 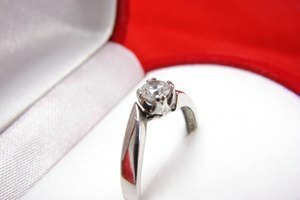 Platinum does not tarnish, so if the ring has begun to tarnish, it is most likely made from silver. Consider the price of the ring. Platinum is more expensive than gold or silver. 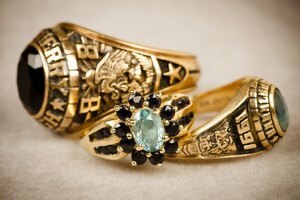 Have the ring appraised by a jeweler or appraiser.